Ft. Ord, California; Schofield Baracks, Hawaii; Ft Bragg, North Carolina; Los Angeles Recruiting Bn, 6th Recruiting BDE; So Cal Recruiting Bn. 2 Meritorious Service medals; 6 Army Commendation medals; 8 Army Achievement medals; 8 Good conduct medals; Global War on terrorism; Airborne Badge; Airassault badge; Expert Rifle badge; Recruiting Badge; Recruiting Ring; Glen E. Moral Award. 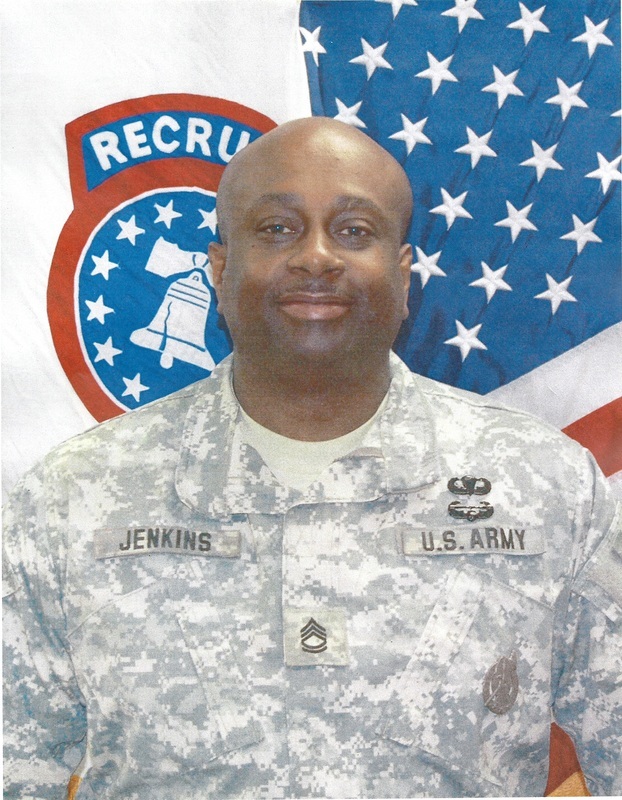 Raymond Jenkins served 26 years in the United Stated Army and held many positions to include but not limited to Communications NCO, Squad Leader, Platoon Sergeant, Paratrooper, Recruiter, Recruiting Station Commander, Chaplain Recruiter, Master Trainer, and Equal Opportunity Liaison. Since his retirement, Raymond has continued to strive for excellence by going back to school to complete his Bachelor's Degree in Business Administration with a concentration in Human Resources at California State University, Dominguez Hills. From there he has pursued his MBA at USC for professional development and also to help set an example for his kids and young men he mentors through the Male Success Alliance Organization at CSUDH that it’s never too late. Raymond is a devoted husband and father of four. He and his wife are very active in the Lakewood Community as baseball and softball coaches. They both serve on the Games Management Team as volunteers with Special Olympics Southern California along with other nonprofit organizations. Volunteerism and mentoring the youth is a huge part of Raymond’s life which enables him to help children and families from every background whenever he can. He exhibits the true meaning of a great leader and mentor. Worked as Station Commander of Lakewood US Army recruiting station. Lives in Lakewood with wife, daughter and son, since retiring from the Army. Volunteers as a baseball and softball coach at Mayfair Park and baseball coach at East Long Beach (Heartwell Park).